The ​Cooks Standard 4-Piece Asian Gourmet Chef Knife Set, Stainless Steel includes: 6.5-inch multi-purpose chef knife cleaver/chopper/butcher knife, 7-inch santoku knife, 5.5-inch serrated utility knife, and a 3.5-inch paring knife. 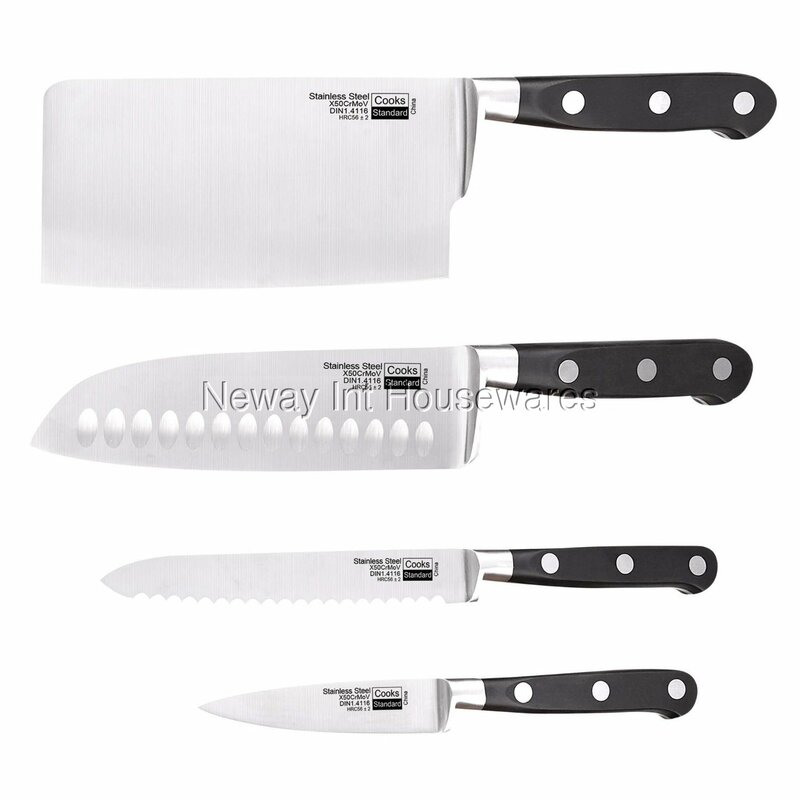 Knives are German engineered and made of stainless steel that provides strength and balance. Blades are sharp, stain resistant, and releases food easily. Full tang construction with 3 rivets provides durability. Handles are ergonomically designed for comfort and polished for hygienic benefit. Not dishwasher safe, hand wash and dry immediately.